Comes with base and lining. Flowers not included. 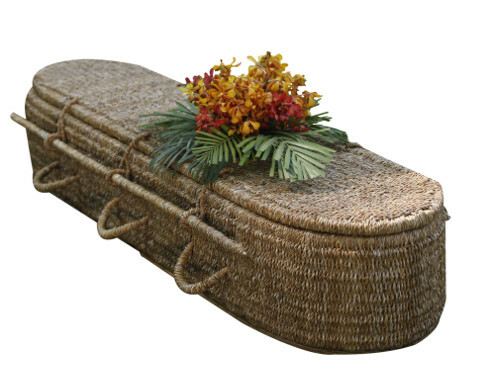 An engraved coffin with contrasting fine panel details. Any customised colour can be achieved or selected from our standard range. For ease of ordering reference may be made to a Dulux colour chart available on request. The range is unique with a wide choice of designs. 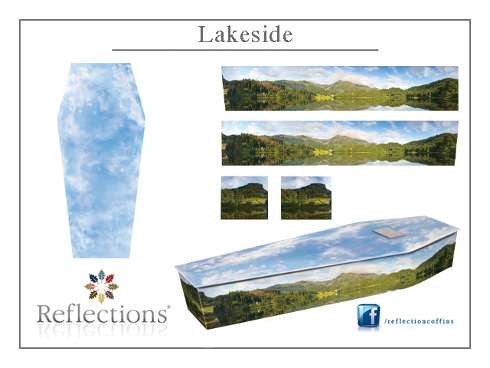 Please ask for a full reflections brochure.